Boston Aquarium, Theater District, Children's Museum, Faneuil Hall, Quincy Market, the North End, Chinatown, Boston Common, Beacon Hill, Boston Tea Party Ship Site, and Freedom Trail. The new InterContinental Boston has recently opened its doors and symbolizes a new luxury hotel era in America's original city. With its elegant, reflective blue glass architecture & sleek polished granite, InterContinental Boston is the city's newest landmark.Located on Boston's historic and newly redefined Waterfront, InterContinental Boston is surrounded by Boston Harbor on one side and the new Rose Kennedy Greenway on the other. Its prime location places it just steps away from renowned Boston attractions, including Faneuil Hall / Quincy Market, the North End, Chinatown, Beacon Hill and a plethora of historical attractions such as the Boston Tea Party Ship Site and Freedom Trail. Exceptionally convenient, InterContinental Boston sits at the base of the Financial District and is a mere ten minutes from Boston Logan International Airport. The pet fee is $100 non refundable cleaning fee. Small pets only. Logan Airport; $25 each way by taxi. Local Shuttle Info: South Station is a 5 minute walk (2 blocks away) with connections to the Red Line, Silver Line, and the Commuter Rail. 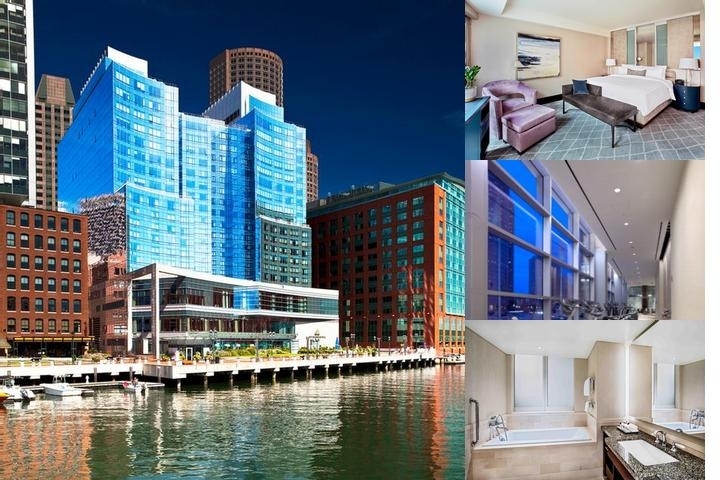 Below are the meeting, banquet, conference and event spaces at Intercontinental Boston. Feel free to use the Intercontinental Boston meeting space capacities chart below to help in your event planning. Hotel Planner specializes in Boston event planning for sleeping rooms and meeting space for corporate events, weddings, parties, conventions, negotiated rates and trade shows. 121 x 83 x 20 Ft.
54 x 83 x 16 Ft.
40 x 43 x 20 Ft.
20 x 27 x 9 Ft.
42 x 27 x 12 Ft.
18 x 16 x 9 Ft.
40 x 40 x 20 Ft.
41 x 82 x 20 Ft.
30 x 28 x 9 Ft.
25 x 39 x 12 Ft.
17 x 26 x 9 Ft.
54 x 28 x 16 Ft.
30 x 52 x 9 Ft.
54 x 27 x 16 Ft.
27 x 46 x 12 Ft.
40 x 42 x 20 Ft.